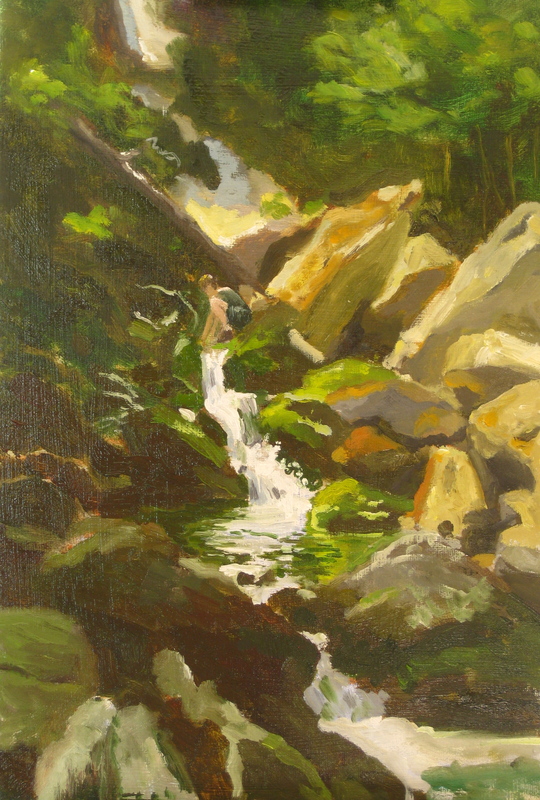 We are back in France, but here’s another painting from the summer in New England. After a week on Cape Cod with Caryn, Sam and I set out on our annual Appalacian Trail walk. Little by little, we intend to cover the entire AT. One of the daily rituals on the trail is filling water bottles (and purifying the water). Here is Sam at Race Brook Falls, an access trail to the Appalacian Trail, in southern Massachusetts. Phil….I love that painting especially seeing Sam in it. LOVE LOVE LOVE IT!!!!! !